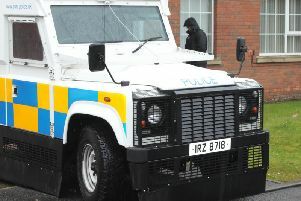 Sentencing in the case of an 18-year-old man was deferred for nine months last Wednesday at Craigavon Magistrates Court. Louis Neill, Churchill Park, Portadown, admitted handling stolen goods, namely a BMX bicycle, on May 19 this year at a previous court. The case was adjourned until last week so that a pre-sentence report could be obtained. A barrister representing the defendant said that it had been an opportunistic theft. He added that Neill was a young man with a considerable record, the majority of which were alcohol related and there were drugs issues. The barrister explained that his client had no recent arrests for anything related to alcohol and drugs. He added that Neill was in breach of a suspended sentence imposed in April but that was for a different type of offence. The property was recovered and returned to the owner. District Judge, Mrs Bernie Kelly, said there were a number of difficulties because Neill had ruled himself out of community service and blamed everyone around him although the others involved were children. “He is effectively asking me to send him to prison,” she added. Judge Kelly said she would defer sentence for nine months to August 2 next year and would require an update pre-sentence report on that date. But she warned Neill that if he was brought back to court during that time she would send him to prison. However, she added, if he stayed out of trouble he would not face immediate custody.